Get three uses out of just one holder. Each holder was designed for pegboard, slatwall and countertops. 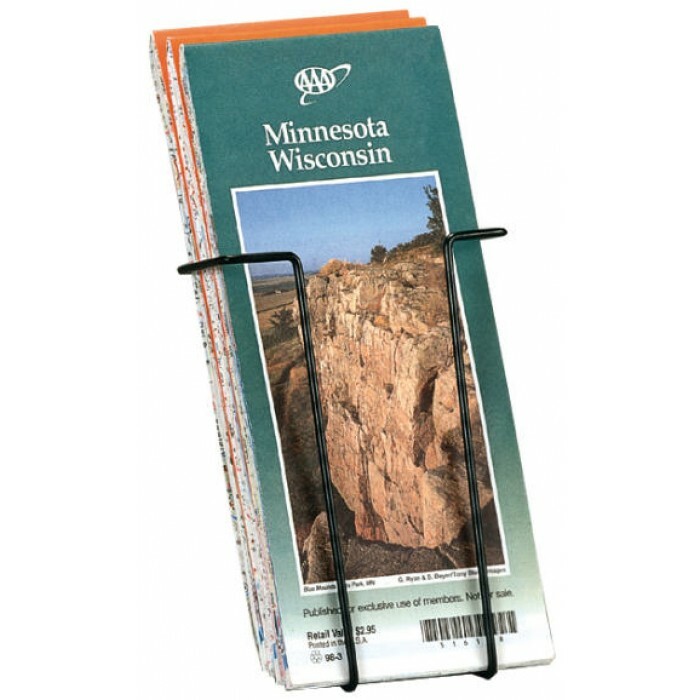 Perfect for 4" wide brochures and maps. Black powder-coat finish. Very economically priced. Dimensions: 6"H x 4-1/2"W x 1-1/2" deep. Only sold in case-packs of 50.